Editor’s Note: We are providing this link to an article by Christine Stuart published on CTNewsJunkie.com Oct. 24, since it pertains to the senate race affecting the towns we cover in ValleyNewsNow.com. CTNewsJunkie.com is a fellow member of the Local Independent Online News (LION) publishers national organization and we are pleased occasionally to cross-publish our stories. 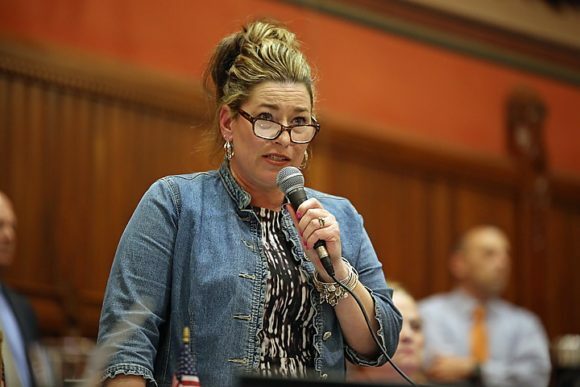 HARTFORD, CT — On paper it looks like state Rep. Melissa Ziobron, who is in a pitched battle for a state Senate seat, was the highest paid state legislator in 2017. Her opponent in the race, Essex First Selectman Norm Needleman, sent out a press release last week to highlight the fact that Ziobron collected $18,379 in “other” pay last year. That’s on top of a base salary of $32,241 for the part-time lawmaker. In a phone interview last week, Ziobron said that Needleman is wrong.